When my son put this suit on, it fits his perfect! The price was worth the item. It is very easy to take care , and it grabs attention to whoever lays yheir eys on my son ! Boys Tuxedo suit from brand Rafael for those who like to stand out amongst the crowd. 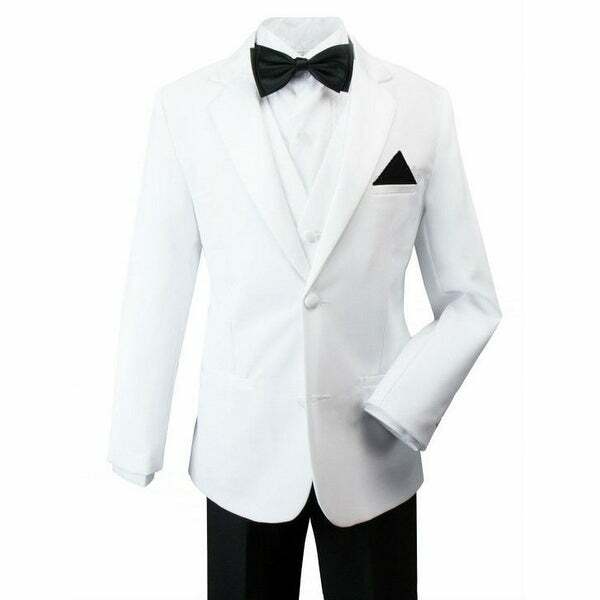 James Bond style tuxedo includes a white jacket and black pants. It provides a formal elegant touch, style and class. Suitable for little boys. "Does this tuxedo come with the vest, shirt, tie & or cumber bun?"